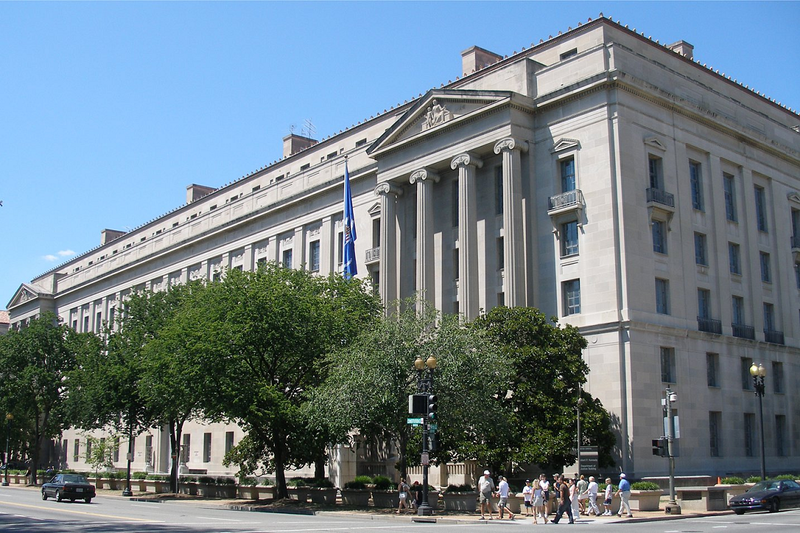 The United States Justice Department has opened a criminal probe that looks to investigate whether Bitcoin traders are manipulating the prices of Bitcoin and other digital currencies. According to sources familiar with the matter who asked not to be named, they said the investigation is focused on illegal practices that can influence prices such as spoofing or flooding the market with fake orders (wash trading) to trick other traders into buying or selling. Federal prosecutors are working with the Commodity Futures Trading Commission (CFTC), a financial regulator that oversees derivatives tied to Bitcoin, Bloomberg reported. It’s well known and tracked on CoinSalad.com, Bitcoin exchange price volatility jumps hour to hour, day to day. We track many of the top exchanges that trade in the USD-BTC pair. You can see the top exchanges listed by volume who command the exchange market share here. It’s also a well known fact that wash trading has happened on exchanges in countries like China, prior to the country’s regulators banning exchanges. It’s unclear at this time which exchanges the Department of Justice will target as part of their probe, but chances are likely it will include the same 13 exchanges that were named earlier this year in the State of New York’s investigation.